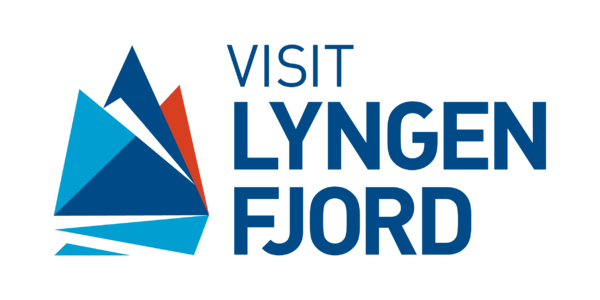 Our Rotsund Seafishing, (a part of Lyngen Outdoor Center) belongs to the renowned Dintur network and as such guarantees the highest levels and standards of safety. 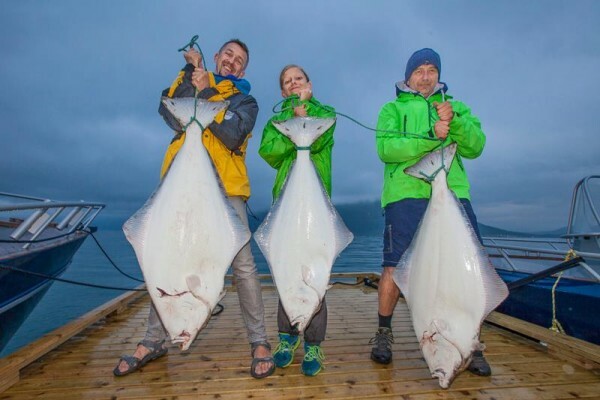 Whether the goal is cod, halibut, sea turbot, catfish or coley, the area surrounding Uløya provides any angler with unforgettable challenges! 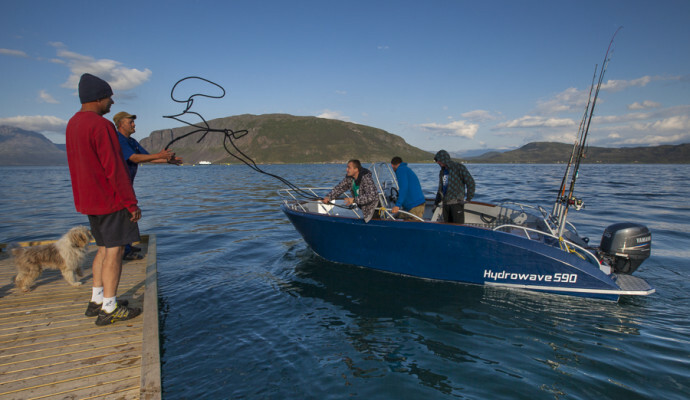 Uløya lies on theRotsund strait, and every angler knows what that means. 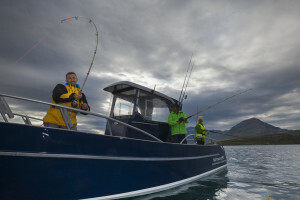 The sea currents deliver an excellent fishing experience and big fish. 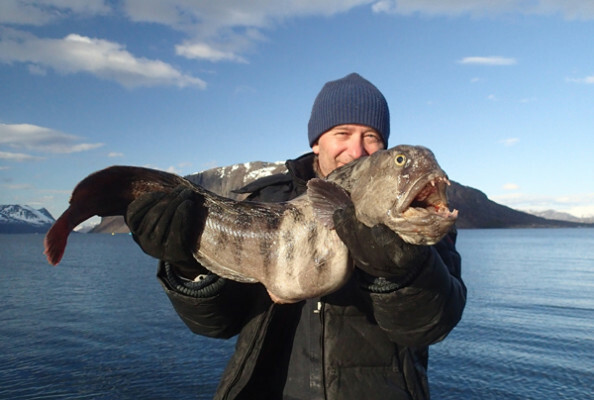 We get enormous catfish and Atlantic cod. 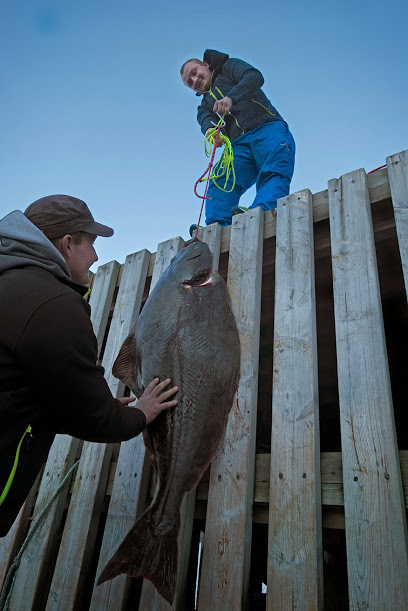 Huge halibuts are not uncommon here; the record for our centre is a 77.6 kg whopper! 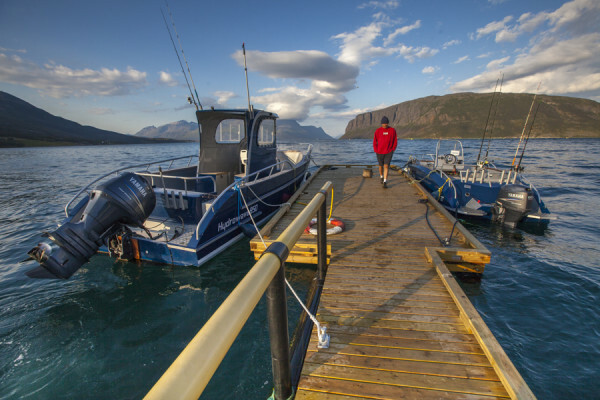 We have our own floating bridge and a large pier reaching 50m into the sea,with a fish skinning room. 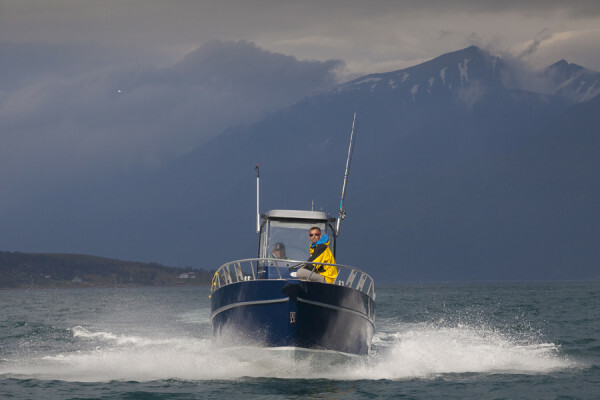 Our fleets of modern, aluminum boats provide comfortable and safe seafishing. 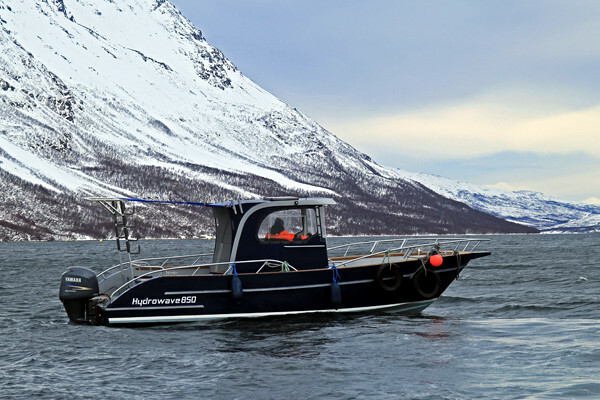 Even in early spring and late autumn one can safely and comfortably sail in our cabin boat – a great rarity in this region! 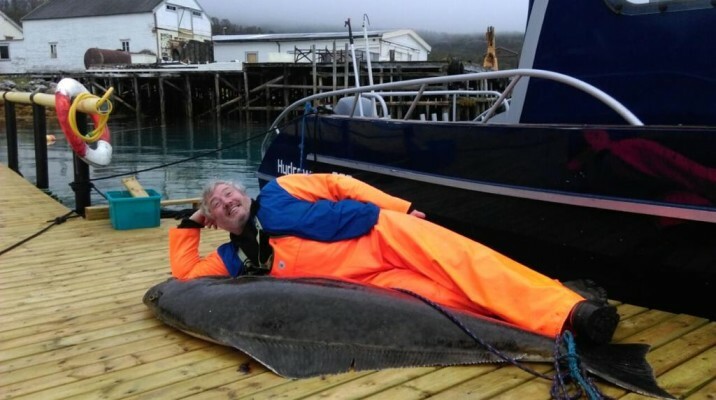 Halibut – 202cm, 77,6 kg. 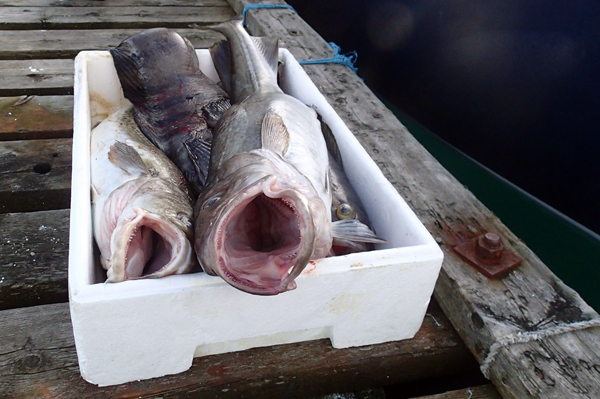 Man – a bit less.